A little over a year after the first soil-less crop using the Spanish NGS technology was planted, professor Silvana Nicola reported being satisfied with what was achieved. 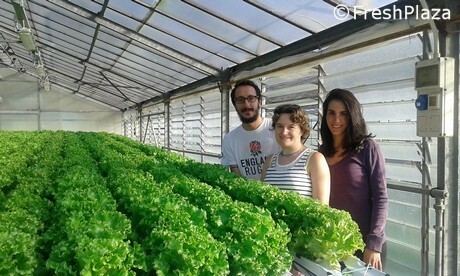 The greenhouse is located at the Experimental Centre of the University of Turin (Latitude 44°53' N, Longitude 7°41' E). Giuseppe Pignata from the University of Turin talked about the test. 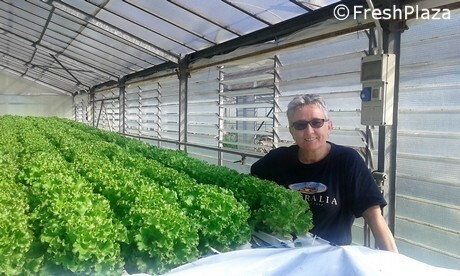 "We transplanted Gentilina Rebelina lettuce on June 7th and we have just started harvesting it. 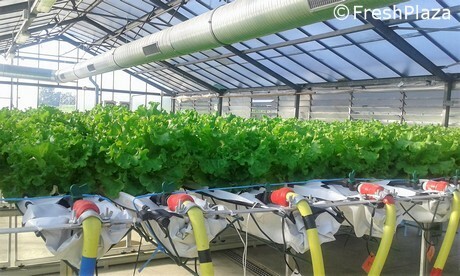 We chose the nutritional solution that had the best results on lettuce, then we tried different types of fertigation. There were 1440 plants and the average water consumption was 0.1 L/plant/day during the first two weeks and 0.2L/plant/day during the last two. We manage to produce 200-250g heads in just a month. We will then carry out microbiological and qualitative analyses both on the fresh and packaged produce." Giuseppe Pignata, Manuela Casale and Alice Casati. The NGS system has also been used on other species such as oregano, marjoram, basil, parsley, rocket, watercress, mint and various types of lettuce. It was tested for the spring-summer period but it will also be tested during autumn-summer. NGS is a closed-cycle soil-less cultivation system that uses up to 85% of the space in a greenhouse, whereas traditional systems only use 50%. In addition, it costs between €16 and 25/sq m depending on whether the system is on the ground or lifted from the ground. "We had to adapt the system a little because it had only been used in Mediterranean areas, but everything went fine. Considering how excellent the lettuce turned out, we would like to implement the NGS system to produce other packed unwashed products." "It is time to introduce a type of fresh product that does not need all the work fresh-cut products need, but with similar hygienic-health conditions. In addition, consumers must known soil-less systems are sustainable as they reduce energy costs. 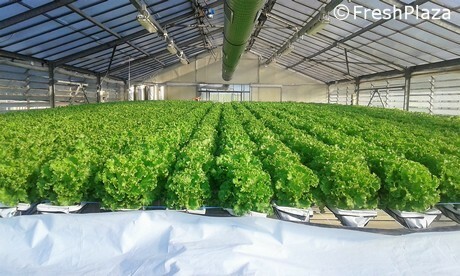 In the future, we would like to install a packaging line directly in the greenhouses."